Make the cookies according to the bag. [Which is mix everything together.] Roll your dough into 1 – 2 inch round balls and then coat them in sugar. 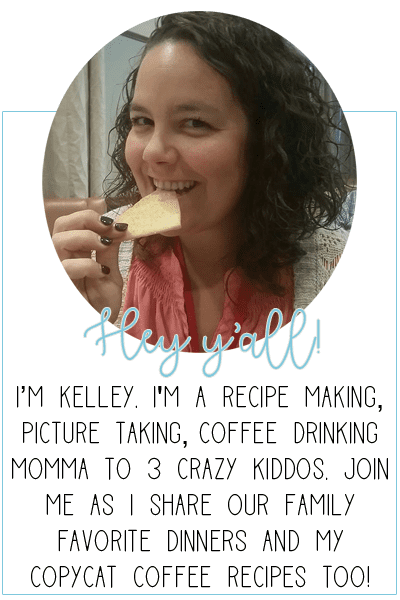 Put them on your cookie sheet [or your silicone baking sheet – woohoo!] and gently press down on them. I just flatten my slightly so the Hershey kiss will sit better. 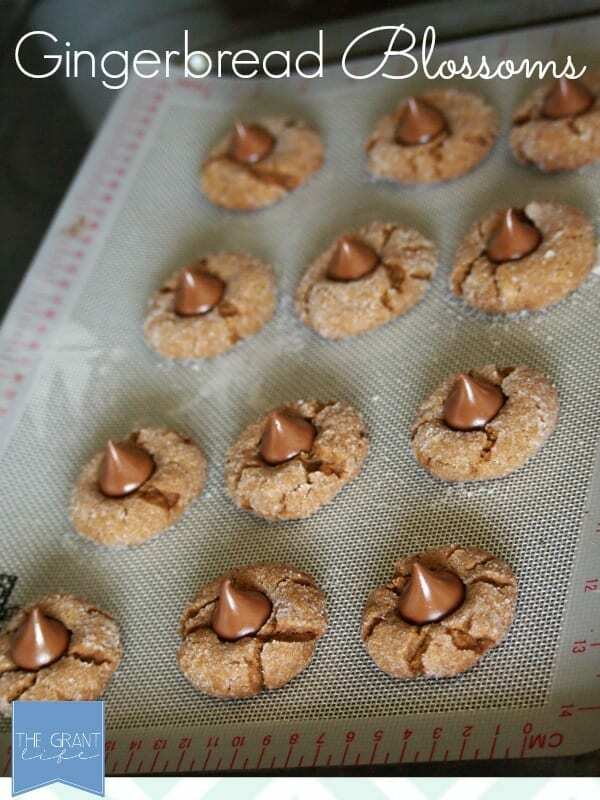 When they come out of the oven immediately add a Hershey kiss so that it can start to get all melty and ooey gooey. Let cool for a few minutes. 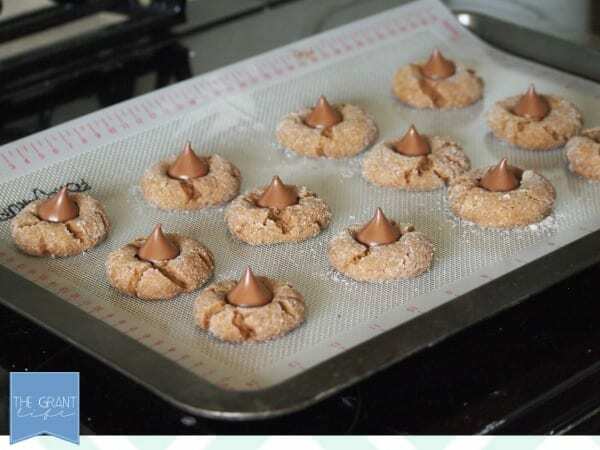 Like the peanut butter blossoms, these are best if they are eaten warm. [In my opinion.] The gingerbread is chewy and the chocolate is melty and its just like Christmas cookie heaven. I made these and they were gone within a few days. I helped quite a bit. So did the kids. I made a double batch of these so they were all over the counters cooling and they would run into the kitchen, grab two and run out. Ryley would grab one for herself and one for Avery too. Then they would switch and he would come in and grab two and scurry out of the kitchen. It was too cute and they were quiet! Mom win. And if you want even MORE recipes, sign up for our emails! What a great idea – to use a mix. They look great and I bet they taste even greater! Merry Christmas. Thanks so much! They were pretty tasty! 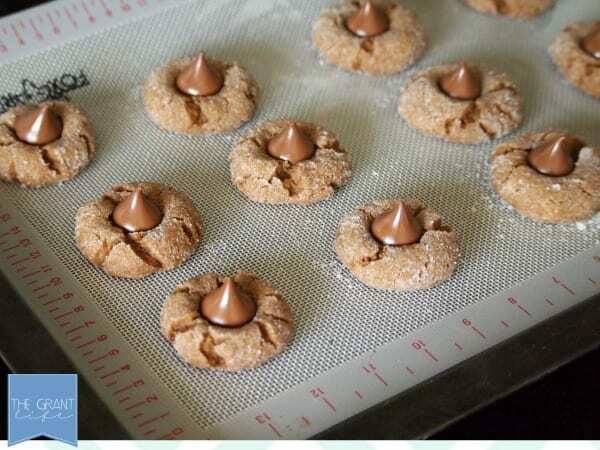 I never made these with gingerbread! It bet it is delicious, can’t wait to try it! Thanks Lauren! This was my first time with the gingerbread and I loved em! Hope you like them as well! Kelly, I LOVE the gingerbread chocolate combo! 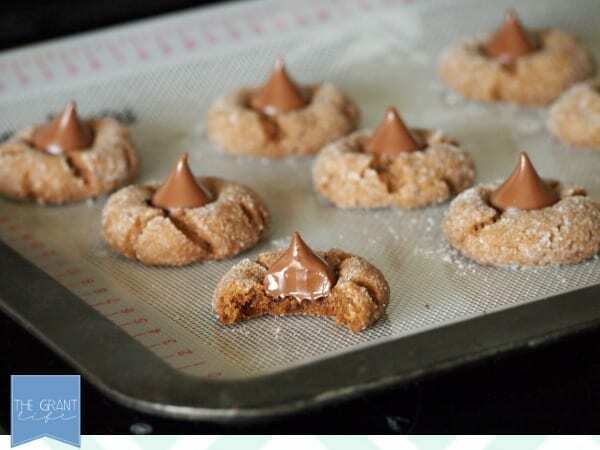 I’m off to make some of these goodies! Thanks Marilyn! It was a pretty tasty combo! I hope you like em!